WOLF BLITZER: The war in Iraq has already taken a very heavy toll, and there's no end in sight. The war has already cost the United States $351 billion, according to the Congressional Budget Office. The death toll is rising. The war has taken the lives -- take a look at this -- 3,220 U.S. troops dead. Estimates of Iraqi civilian deaths start at around 59,000. But by some accounts, they go up way, way higher than that. Joining us now from Baghdad is CNN's Michael Ware. He's covered this war from the very start -- Michael, as you look into the start of year five, what do you see? MICHAEL WARE, CNN CORRESPONDENT: Well, Wolf, this is going to be yet another difficult year. Indeed, if the American public thinks it's seen the hard yards already, my great fear is that they are, in fact, yet to come. What we're seeing is a level of attacks against coalition forces that's still almost -- that is more than two times than what they were two years ago. We're seeing an array of forces opposing American troops that were not opposing them before. We're seeing new mutations. And, indeed, we're seeing ever increasing sophistication among the insurgents. Now, there may be splits and spats and factions within all of America's enemies, but nonetheless, at the end of the day, it is Iran and al Qaeda who thus far have been emboldened by this war. BLITZER: We heard from the president earlier today, Michael, with a best-case scenario that over the next few months or several months, things will begin to fall into place. But you're there on the ground. What's the worst-case scenario for the next year? WARE: The worst-case scenario is that the civil war reignites to the fever pitch that we've been experiencing up until lately; that al Qaeda, you know, consolidates its stranglehold, at least politically, in Western Anbar Province. There we're seeing the Americans siding with rather brutal tribes in any bid to tackle the al Qaeda threat there. But worst among all fears would be an increase, a step-up, a rise in the tempo of Iranian intervention in this country, directly targeting U.S. troops and significantly undermining the political gains that the U.S. mission here is desperately hoping to achieve. 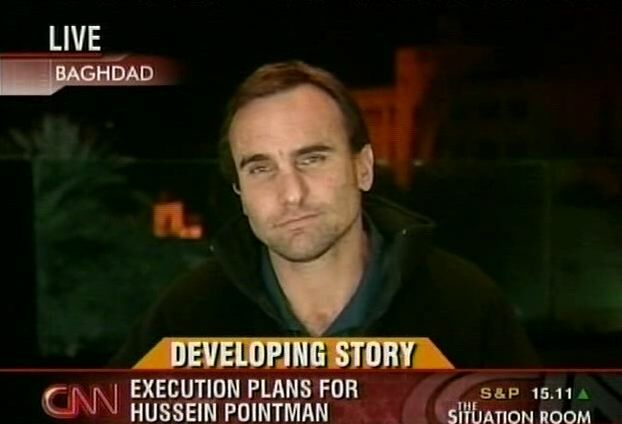 BLITZER: We're also being told -- you're there on the scene -- that the Iraqi government has now asked the U.S. to hand over the former Iraqi vice president, a top aide to Saddam Hussein, Taha Yassin Ramadan, for execution as early as tomorrow morning your time, which would be in a few hours from now. They didn't exactly do a great job executing Saddam Hussein or another top Iraqi official. What's your assessment of what's going on? WARE: Well, it's hard to say. I mean certainly there's no official comment at this stage. But we've become accustomed to that for a host of reasons. Obviously, these events, these executions are shrouded by a cloud or a veil of tight, tight security. So it's no surprise that people would not be advertising this. However, what we're hearing from is one of the defense lawyers that represented Saddam and some of the other co-defendants. This particular individual has been accurate in the past. What he is saying is that the former vice president, Taha Ramadan, has contacted his family and he has said to them that "I am going to die at dawn on Tuesday morning." And, Wolf, that is just a few hours away. BLITZER: And have they learned how to do it? Because the other two executions clearly were botched. We saw the cell phone video and we saw, in one of the hangings, obviously, a head actually be severed. WARE: Yeah, well, that's two issues that we have. Firstly, during Saddam's execution, secret video taken on cell phones was secreted out or smuggled out of the execution chamber and quickly received wide play. So after the first one, there had to be a security crackdown. Then, at the second series of executions, two individuals, one of them was decapitated during the hanging. So, again, measures had to be taken to address that. At this stage, we honestly don't know what steps, if any, have been taken, how they're to be implemented or in what way, if any, that this will be different. BLITZER: Michael Ware on the scene for us today.